ITMO University is one of the top Russian institutions which provides training and research in advanced science, engineering and technology. The history of the University spans over a period of more than 100 years. ITMO University offers a wide range of undergraduate, graduate and doctoral programs as well as post-doctoral research and short-term courses. 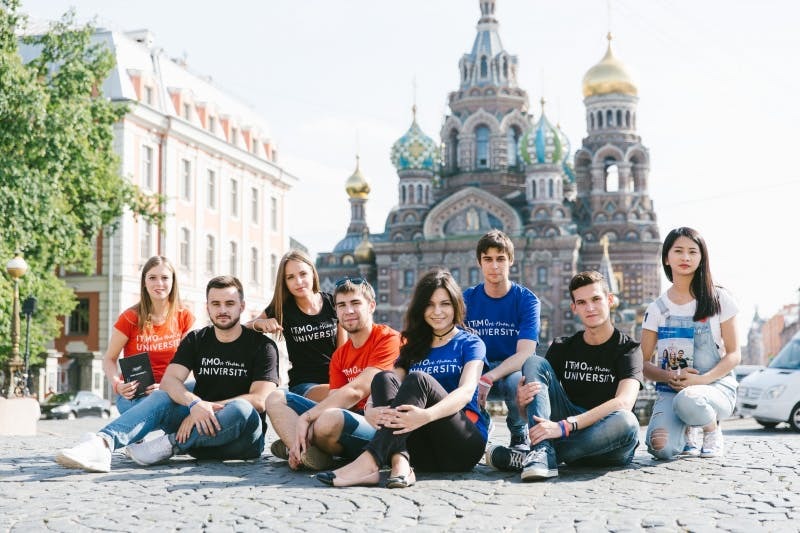 ITMO offers double degree Master’s programs in collaboration with world’s top universities which allow to get two Master’s Diplomas in two years. ITMO is a true home for a seeking scientist: if you want to expand your scientific knowledge horizons, multiple research possibilities are open for you at ITMO. ITMO is located in Saint-Petersburg, Russian cultural capital and the most European Russian city representing unique blend of culture and entertainment. International Master’s Programs are an effective mix of immersive learning and collaboration with leading scientists, hands-on experience with industrial partners and a rare opportunity to work with an international team. ITMO University offers a wide variety of Bachelor’s and Master’s Degree Programs in the most advanced fields: IT, Mechatronics and Robotics, Photonics, Biotechnology and Smart Materials, Innovations Development etc. Semester exchange programs are an excellent opportunity to dive into a different culture and learning environment which enhance your intercultural skills and make you more competitive for the future. ITMO summer schools combine an intensive science, programming or language course with visiting historical sites, museums and theatres in the magnificent St.Petersburg. 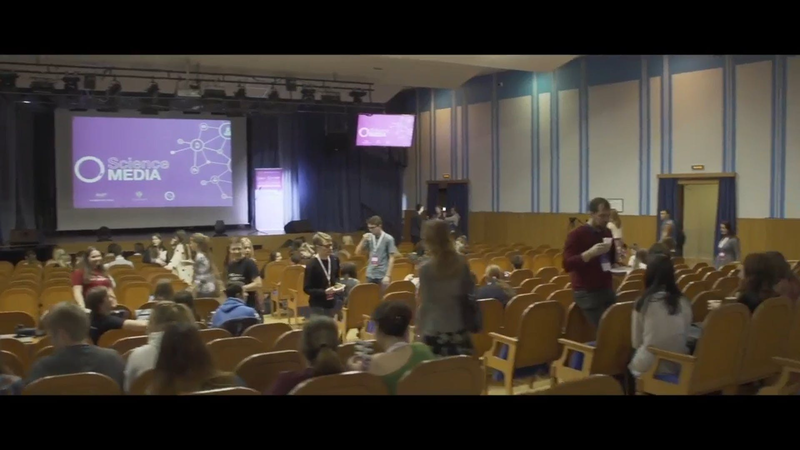 Research and development have always been top priorities for ITMO University. Many findings by the researchers of our university in 20th century determined the development of Soviet and global science and technology. 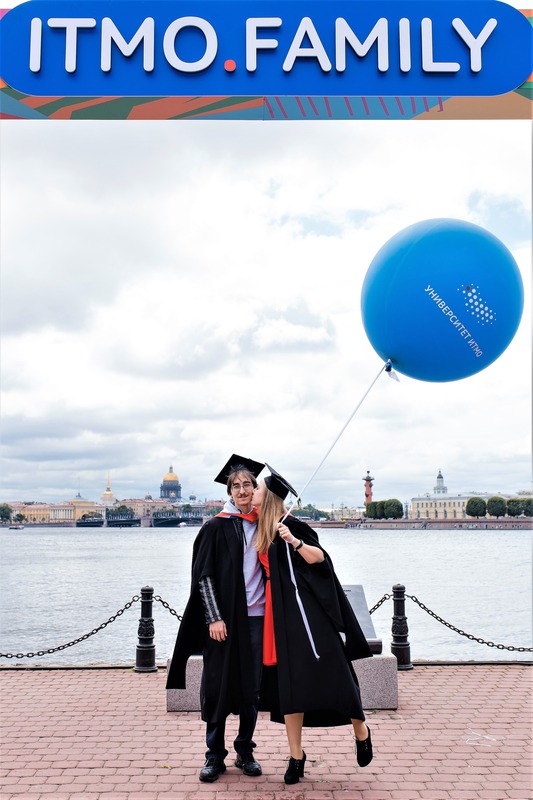 ITMO University’s Career Services Department offers resources and support to students and alumni through all stages of their career. We also work closely with the industry, government and other stakeholders to create sustainable relationships for internships and employment. Employers in our network provide valuable feedback about most in-demand skills so that we can train the most in-demand workforce. 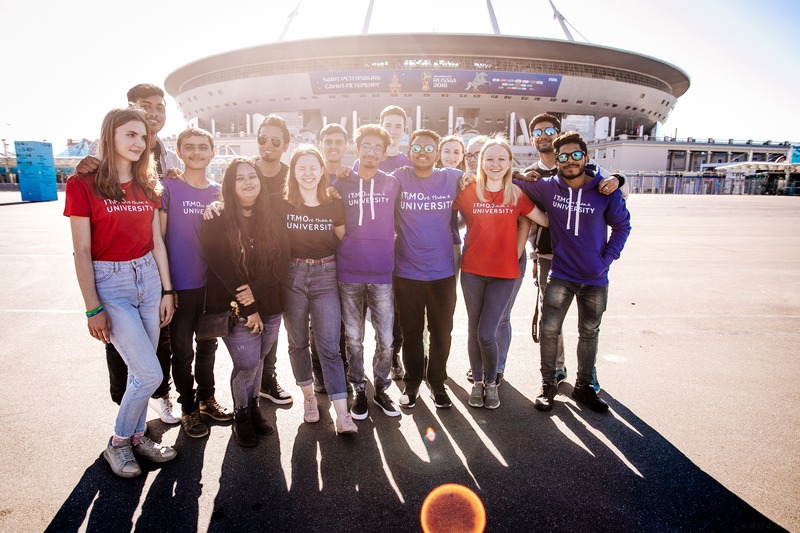 ITMO University has several initiatives designed to help international students in adapting to the new city and culture. Among such projects are ITMO University’s International Student Council, "Get Local" International Students Club, and the buddy program. ITMO University has more than ten dorm options on offer, and it is our priority to provide international students with housing. A majority of international students are housed in the two dorms which are located in the historic center of Saint Petersburg, not far from ITMO University's main building. The dorms are multi-story buildings with comfortable rooms. Occupancy depends on availability and influences the cost. There may be from 2 to 4 students sharing a dorm room. Rooms are furnished with the necessary furniture. Some rooms have shared bathrooms. There is a kitchen on each floor of the dorm building, with cooking stoves and countertops. ITMO University offers a vast collection of Russian and international literature on a variety of technical and social disciplines, as well as general interest and fiction. Once you are officially an ITMO University student, you are entitled to use the services of the healthcare clinic located at the main campus of ITMO University. Some of the services include first aid, treatment of a variety of acute illnesses, minor injuries and burns, vaccinations, preventive medicine. The doctor can also make referrals to specialists. ITMO University campus comprises 14 educational buildings mostly located in the downtown which make it easy to explore the city and enjoy it at any time of the year. They are easy to access by public transport and are usually within walking distance of metro stations. The overall University infrastructure also includes research and scientific laboratories, several dormitories, sport facilities, student co-working areas, concert halls, hobby clusters etc. There are no boring PE classes you need to muster at ITMO University. What we have instead is “KronBars”, a fun and welcoming student sports club offering more than 60 kinds of sports for you to enjoy. From basketball and volleyball to rock-climbing, wrestling, and fencing, everyone is bound to find something that suits their taste. Moreover ITMO University’s KronBars doesn’t just mean dozens of cool sports classes; it is also Saint Petersburg’s best-known student sports club. Our team of sports managers, journalists, photographers and student enthusiasts are hard at work developing student sports and forming better conditions for athletes and everyone who likes sports. Whatever your talent, let it shine at ITMO. From several singing groups to dance studios, an anime group, an online radio and television stations to Game Crunch Club, where students develop new games, you are certain to find “your people”. Students often get a chance to work with professional artists in the university’s sound lab as well as try their hand at organizing concerts and performance on campus as well as other venues around the city. 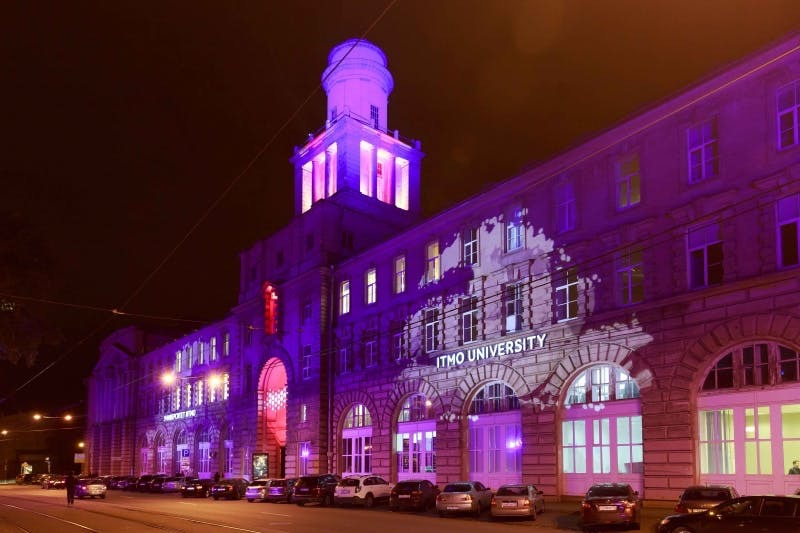 ITMO University is a full member of European University Association (EUA), Association of Technical Universities of Russia and of China, Society of Photo-Optical Instrumentation Engineers (SPIE), European Optical Society (EOS), International Institute of Refrigeration (IIR), St. Petersburg Chamber of Commerce.